Nor Hazwani Binti Ahmad Ruzman (2016, November). Cynopterus brachyotis. Malaysia Biodiversity Information System (MyBIS). Retrieved April 20, 2019, from https://www.mybis.gov.my/art/162. Cynopterus brachyotis (Chiroptera: Megachiroptera: Pteropodidae) or the Lesser short-nosed fruit bat is distributed in Sri Lanka, South-East Asia, Philippines and Indonesia (Payne et al., 1985). It is one of the most widely distributed bats in the region and has been collected from many locations in Peninsular Malaysia such as Pulau Langkawi (Kedah), Pulau Tinggi (Johore), and Pulau Redang (Terengganu) (Khan, 1992). Cynopterus brachyotis has a dog-like face, large dark eyes, and brown to yellowish brown fur with a distinct dark orange collar in adult males, and yellowish in females. The fur of immature bat is grey and with an indistinct collar. The edges of its ears and wings are usually white. It has two pairs of lower incisors. Its forearm is about 55 – 65 mm long, tail approximately 8 – 10 mm long, and ears about 14 – 16 mm long. A mature adult bat weights about 21 – 32 g.
Cynopterus brachyotis is largely restricted to more mature forests, from lowlands to hills, where it can be found in both the forest understorey and canopy. In addition, C. brachyotis also inhabit gardens, mangroves and agricultural land (Payne et al., 1985; Francis, 2008). It is one of the commonest and most widespread fruit bats. Cynopterus brachyotis has a tent-making behaviour where it uses the leaves of eight species of broad-leafed palms (Palmae) to form palmate umbrella-like tents for roosting (Tan et al., 1997). It also roosts in other plants and trees without making the umbrella-like tents or in the brighter areas of caves (Payne et al., 1985; Tan, et al., 1997; Francis, 2008). This fruit bat has a harem-type social organization, where the dominant males build umbrella-like tents, and recruit females for the purpose of gaining reproductive access (Tan et al., 1997). It mainly feeds on small fruits by sucking out the juices and soft pulp, and spitting out the seeds and fibrous matter as a flat oval pellet. It has been reported to feed on the fruits of 54 plant species including Musa spp. (Musaceae), Mangifera indica (Anacardiaceae), Eugenia jambos (Myrtaceae), the leaves of 14 plant species, and the flowering parts of four plant species (Tan et al., 1998). Based on the wide selection of fruits in its diet, it is considered a very important seed disperser (Tan et al., 1998). It also feeds on nectar and pollen. In several cases, small proportions of insects’ remains have also been found among its stomach contents (Lord, 1978). 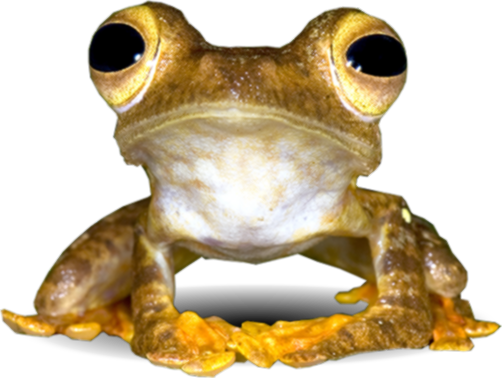 According to the IUCN Red List of Threatened Species, C. brachyotis is listed as least concern (LC). However, the species is locally threatened by deforestation resulting from logging activities and conversion of forest to agricultural land and other uses (Molur et al., 2002). Thus, it is important that steps be taken to conserve this species for forest regeneration and for future generations too. Molur, S., Marimuthu, G., Srinivasulu, C., Mistry, S., Hutson, A.M., Bates, P.J.J., Walker, S., Padma Priya, K. & Binu Priya, A.R. (2002). Status of South Asian Chiroptera: Conservation Assessment and Management Plan (C.A.M.P.) Workshop Report, 2002.. Zoo Outreach Organisation and Conservation Breeding Specialist Group – South Asia in collaboration with Wildlife Information & Liaison Development Society, India. Citation:- Nor Hazwani Binti Ahmad Ruzman (2016, November). Cynopterus brachyotis. Malaysia Biodiversity Information System (MyBIS). Retrieved April 20, 2019, from https://www.mybis.gov.my/art/162.